Balsam Fir is derived from the pine needles of Christmas Trees. 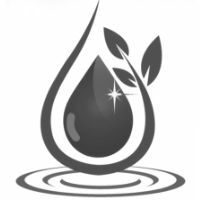 The essential oil helps with asthma, infections involving the respiratory system, rheumatism, stress-related conditions, wounds, sore and tired muscles, joints and tendons, back pain, sciatica, lumbago, and scoliosis. It is a refreshingly uplifting oil that helps to ease tension and lift out of lethargy. Balsam Fir essential oil is antiseptic, antispasmodic, analgesic, expectorant, anti depressant, and a stimulant. Organic balsam fir essential oil is a fresh and crisp addition to cosmetic applications, personal care formulations, soaps, perfumery, incense, candles, and aromatherapy. I am a believer in Jade Bloom. Love everything about this. Smells great! used in my diffuser...made my home smell like a forest...can't wait to use it again! I absolutely LOVE jade Bloom E.O. 's !!!!! Fantastic!!! Great for adding to cleaner! This makes my house smell SOOOO fresh when I add it to cleaning recipes. Feels like walking through a real forrest! I use this oil along with Frankincense and Copaiba in a veg. capsule for chronic pain. I love the smell of the balsam fur. I find it so relaxing and highly recommend it!! Very woodsy smell... very comforting and grounding! I love this in my car diffuser for the drive into work before I get my first cup of coffee! Very Great Woodsy Smell without being overwhelming. I love this oil. It reminds me of being outside as it has a fresh woody, earthy scent. 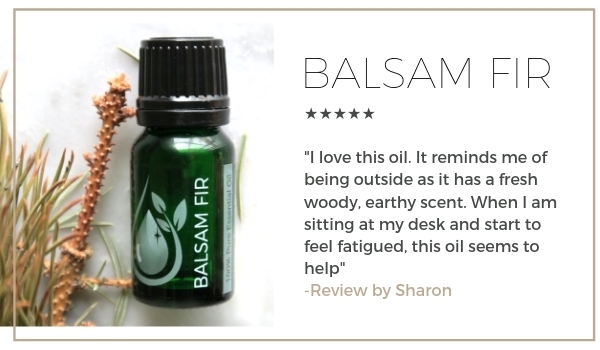 When I am sitting at my desk and start to feel fatigued, this oil seems to help. I received it as one of my collectors club items. I love it! I blended this with patchouli and vetiver in a roller ball and I am calling it "Earth Magic"